Michael Duran has been the interactive director at Journal Inc. since September 2009 and oversees their family of 10 websites. Duran and his team have increased website traffic by 70% and revenue by 150%. 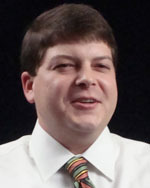 In addition, Duran leads the Information Systems department. Prior to his employment at Journal Inc, he served as a Sr. Web Software Developer for a local company. He is certified in several web technologies and has previously been a Google AdWords Professional and an Education Specialist Trained by eBay. Michael Duran, interactive director, nems360.com, NEMS Daily Journal, built several websites for The Journal, and they hired him in 2009 to run their interactive media business. His background includes website development and sales.